17.06mm x 17.28mm / 0.672in. x 0.68in. 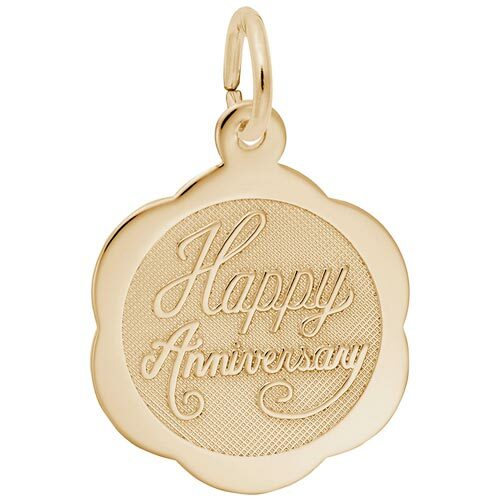 Happy Anniversary Disc Charm. "Happy Anniversary" is embossed in script lettering. The back can be engraved.